A member just emailed me about using articles to promote GDI by submitting articles to Article Directory. I thought I should share them with you here. 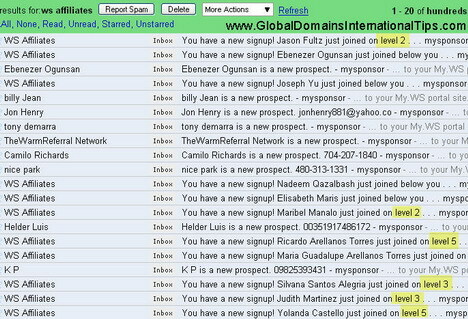 Article Marketing is one popular, effective and Free way to market anything online including GDI. This helps create backlinks and traffic to your website. Since hundreds and thousands of people try to find suitable articles to use as contents for their sites, they will use your articles to post in their websites with your resource box. These people are infact helping you to distribute your articles for Free. Again creating backlinks to your website and drive traffic to your websites. There are also many softwares like HyperVRE that built sites automatically which automatically use articles from directories to generate content sites for adsense. This will again distribute your articles throughout the web for you for Free. Or you can use the services of companies that offers 500 – 1000 PLR (public label rights) articles every month for $67-$97 a month. You can use these PLR articles and put your name as the author to post in directories. However, I must warn you that it is always wise to tweak these PLR articles to make it your own or else your articles may be rejected by the article directories. If you can write your own, please do so as it is FREE and unique, but if you cant and wont, then you may want to use the services of Content Club that offers new articles for you monthly including a software that will help you tweak the articles to become unique. You can also download the 50 Free articles here.